It is shown that self-sinking of a spherical probe in the form of a capsule filled with radionuclides, whose decay heats and melts the rock in its path, deep into the Earth is possible. Information on the formation, structure, and shifts deep in the Earth can be obtained by recording and analyzing acoustic signals from the recrystallization of the rock by the probe. It is shown that such capsules can be placed at a prescribed depth. Self-sinking probes can be used to study the formation of deep layers in the Earth, prospect for minerals, and study underground motions in seismically active regions. 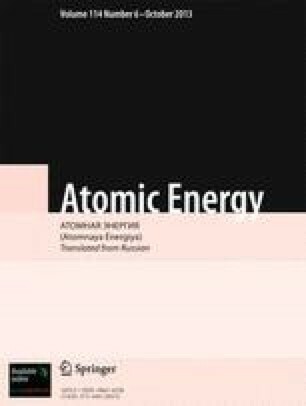 Translated from Atomnaya Energiya, Vol. 99, No. 2, pp. 120–127, August 2005.